I will regularly add tip lists to help you manage and treat your eczema, so be sure to return every now and again to check out any new lists added. If you follow What is Eczema? on Twitter or Facebook I will share any updates on there. 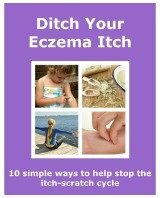 If you have any eczema tips that you'd like to share then please visit the contact me page, and send me your list. Just remember to let me know your name so I can give you the credit!